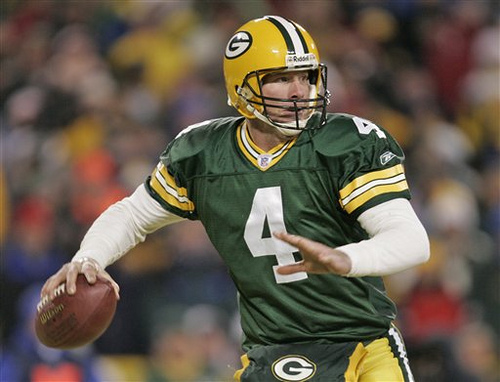 What do NFL All-Decade Team member Brett Favre, football Hall of Famer Troy Aikman, Former Secretary of State Hillary Clinton, U.S. Army Private First Class Brandon Budfuloski, and Woodbridge Warriors High School student Tyler Branin have in common? Each has sought head injury treatment after a concussion. Concussions, a mild form of traumatic brain injury or TBI, can occur when a person takes a hard blow to the head or when a severe jolt shakes the head and impedes on normal brain function. According to the Center for Disease Control (CDC), at least 1.7 million TBIs occur annually and are contributing factors to 30 percent of all injury-related deaths. Though a mild TBI may cause these symptoms for a short time, long-term or life-long symptoms can affect a victim with severe TBI. Sometimes, it can lead to Alzheimer’s disease, epilepsy, Parkinson’s disease, or death. TBI, once an unfamiliar term to the general public, has gained notoriety in recent years. Due to the wars in Afghanistan and Iraq, many U.S. soldiers have suffered TBI through direct traumatic contact or by being near the source of an explosion. According to the Brain Trauma Foundation, in October 2006, 1,652 soldiers and marines who served in those wars were diagnosed with TBI. Recent data suggests that the number of those affected with TBI could be as high as 300,000. Some people exhibit symptoms of TBI who have never experienced a traumatic blow to the head. These people may be symptomatic as a result of having ADHD, Autism, brain tumors, Cerebral Palsy, early onset of dementia, or stroke. Persons suffering from non-traumatic induced TBI-type symptoms must be treated as seriously as those that have trauma-induced TBI. What to do if you or someone you know suffers from TBI Symptoms? The good news is that the brain responds well to treatment. TBI treatment has come a long way in the last 10 years – Seek out treatment plans as soon as possible. If you are in need of a neurologist, Dallas has fine options and resources. Severe TBI needs to be treated immediately. If you think someone may have experienced TBI, that person should be taken to a doctor without delay. Chronic TBI symptoms can be treated in an outpatient clinic. When looking for a clinic, find one that offers a full evaluation that includes blood work. Looking at all aspects, internal and external, creates a thorough picture of the problem, which leads to a better diagnoses and appropriate treatment plan. Neurological, physical, and vestibular testing should be part of the analysis. Fully tested individuals will have a better recovery rate because the actual damage will be more fully understood. As TBI and TBI-type symptoms are treated, their needs will evolve. A reputable clinic will continually assess the needs of the patient and will update treatment options as needed. If you suspect that you or someone near you has experienced a TBI or suffers with TBI-type symptoms due to any other condition, the most important thing to remember is to get the victim to the hospital right away. Consequences can be severe and may even lead to death. A clinic that specializes in TBI treatment plans can safe your life.